Ford 4.0 engine is also known as the Cologne engine because it was produced in Germany and installed in vehicles in the United States. The V6 base of this engine made it possible for use in compact pickup trucks and in some SUVs. The partnership between Ford and Mazda helped to supply many of the engines in the B series pickup trucks. These motors are found in our inventory as well as the Cologne additions that can be hard to find on the secondary market. Here at www.rebuiltengines.co, all of the inventory is checked before sale to make sure quality is received. An SOHC edition was produced in the mid 1990s by Ford. This was used inside of the Explorer. At this time, Land Rover was one of the brands and it used the same engine. The Cologne variant provides a base of 160 hp in the push rod series. Later editions were upgraded in power and torque when used in SUVs. The Duratec series is what replaced the 4.0 engine in the lineup. What you will find here at this company is custom reconditioned engines that are immediately ready for install when delivered to any location. This customer commitment represents a portion what is provided with each order. Aside from the quality differences, what customers find here is that every engine built is complete with a 36 month warranty. This period of time was created to provide insurance that is missing from most used engines that are purchased through secondary market dealers. Our company has hired some of the finest rebuilding experts that are currently found in the industry. This has allowed our company to rewrite the policy for warranties and include unlimited mileage and three-year time frames. 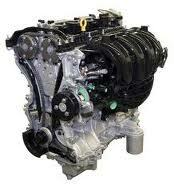 These engines fit perfectly into the Explorer, Mustang, Land Rover and Mercury Mountaineer. The 4.0 is a classic size that was used for more than 25 years by Ford Motor Company. The same commitment to value is exactly what is found in the rebuilt motors sold here. There are no shipping difficulties with our company because of the strength of our freight team. Shipments arrive and depart from our warehouse location several times daily. The difference between our company and others in the industry is the fact that our group of experts give the care and attention of ensuring the delivery, quality and customer assurance are found in each delivered motor. These reasons have helped our company to be one of the top suppliers of reconditioned engines found on the Internet. The elimination of list prices on this website is not an indication of a high price. We remove the prices and rely on our expert quote form to distribute pricing to customers before orders are placed. Is this system now in place that is providing the highest level of customer service. Our toll-free company number can still be used to get answers to questions or instant price quotes. Get your 4.0 Ford price quote today.